The drum software on this page was hand picked as the best for quality and value. 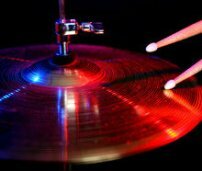 Here you can find software to help you to create, record and edit drum parts. Take time to click on the links for products that interest you. You will find helpful information for each product. Here are the best deals RIGHT NOW! These listings are updated constantly. I have presented them here for your convenience. Find the drum software you want at the price you want--fast and easy. Go To "Free Drum Lessons"